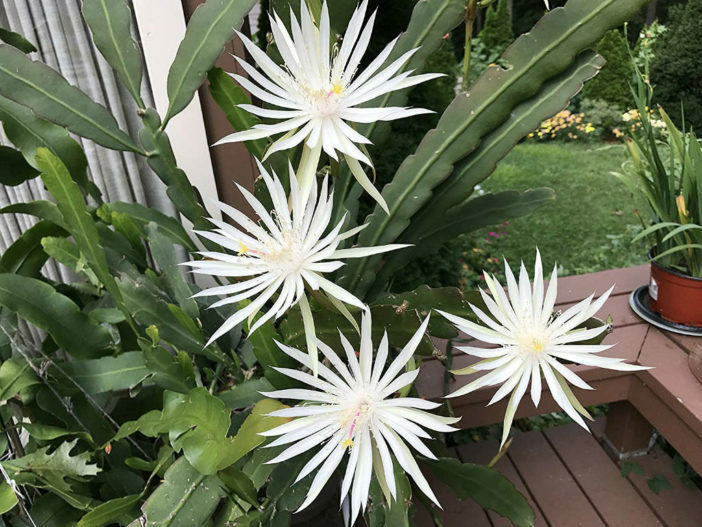 Epiphyllum hookeri is a climbing cactus that produces a loose mass of long, flat, strappy foliage that results in a lovely sculptural effect. 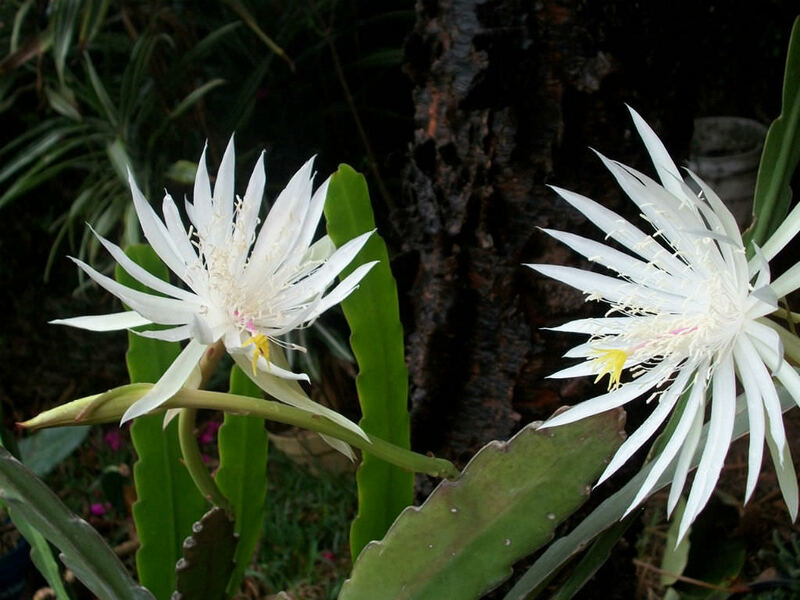 Mature plants produce big, fragrant white flowers in summer, however, because this is a night blooming cactus, the flowers open only at night and close by morning. 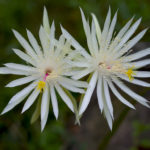 They are up to 9 inches (22.5 cm) long and up to 1.4 inches (3.5 cm) in diameter. 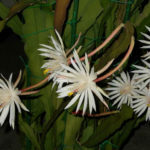 Epiphyllums are hardy to about 50 °F (10 °C), but require at least 60 °F (15 °C) during the growing season, so are best grown in a heated greenhouse, conservatory or indoors. 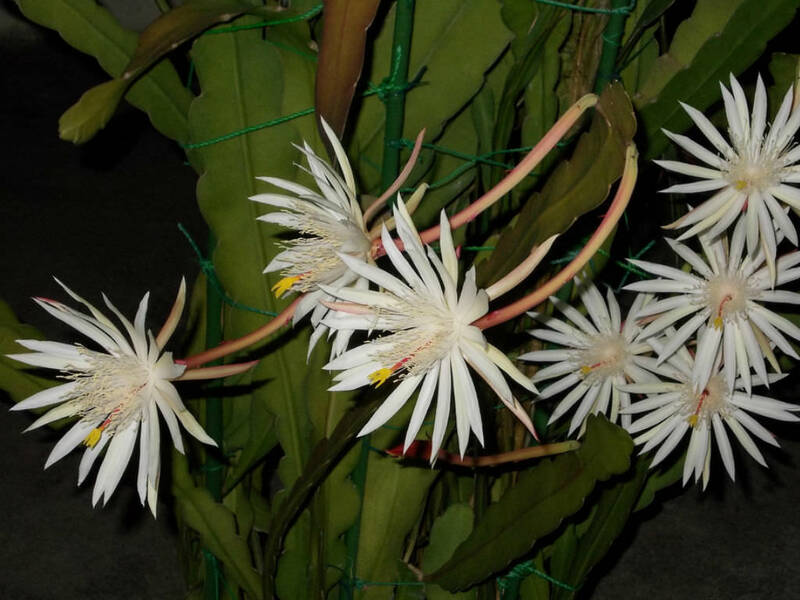 Place the pots in bright, filtered light, with moderate to high humidity. To increase the humidity, position the pot on a tray filled with gravel and keep this topped up with water, but not enough so that the water reaches the surface. These cacti require sharply-drained growing media. 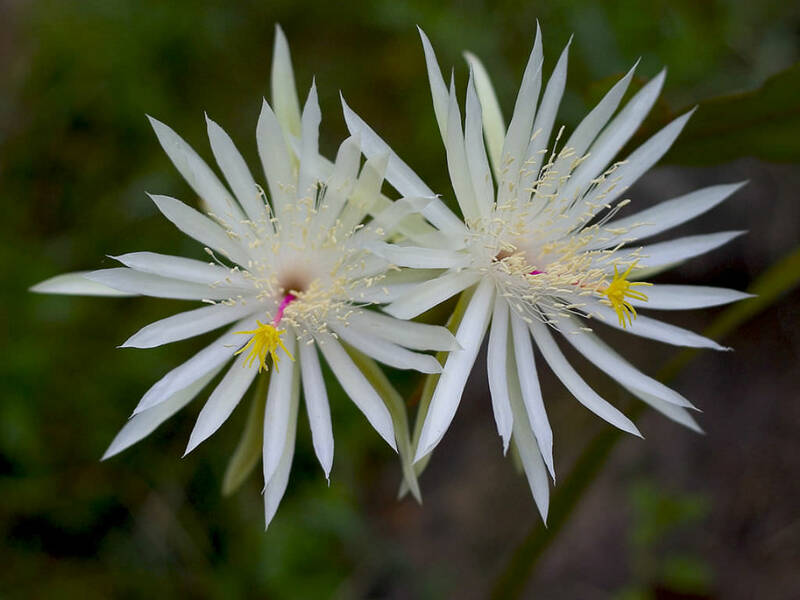 Grow them in a standard cactus soil with added grit or perlite. Alternatively, mix 3 parts loam-based compost, with 2 parts grit or perlite and 1 part peat-free multipurpose compost. 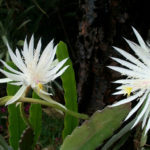 Epiphyllum hookeri is endemic to Costa Rica, El Salvador, Guatemala, Honduras, Nicaragua, Cuba, Venezuela and Mexico.